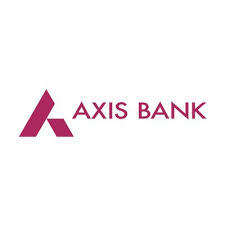 Axis Bank reported net loss of Rs 2188.74 crore in Q4 March 2018 as compared with net profit of Rs 1225.10 crore in Q4 March 2017. Total income rose 2.67% to Rs 14559.85 crore in Q4 March 2018 over Q4 March 2017. The result was announced after market hours yesterday, 26 April 2018. Biocon's consolidated net profit rose 2.27% to Rs 130.40 crore on 27.53% rise in total income to Rs 1242.10 crore in Q4 March 2018 over Q4 March 2017. The result was announced after market hours yesterday, 26 April 2018. Among corporate news, Reliance Industries, IDFC and Maruti Suzuki India will announce Q4 results today, 27 April 2018. Thermax group has concluded a Rs 279 crore order from a leading public sector fertiliser company to set up captive cogeneration plant at Trombay, Maharashtra. The announcement was made after market hours yesterday, 26 April 2018. Indian Energy Exchange board of directors has decided not to go ahead with the buyback of equity shares of the company. The announcement was made after market hours yesterday, 26 April 2018. Essel Propack's board of directors has recommended bonus issue of equity shares in the ratio of 1 equity share for every 1 equity share held. The announcement was made after market hours yesterday, 26 April 2018.